It's October- which means zombies, Halloween and Supernatural. 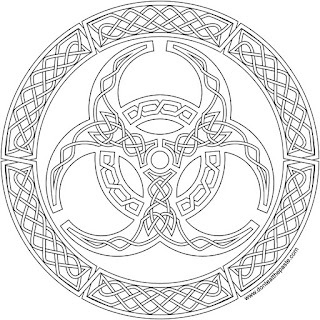 Okay, Supernatural has absolutely nothing to do with this knotwork, but I'm really, really excited about it. I hope you enjoy this knot to color as much as I enjoyed drawing it. 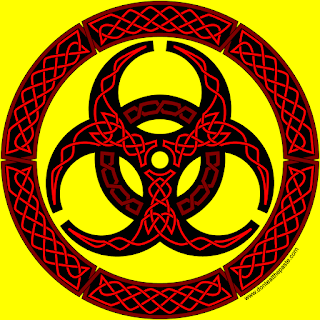 It's a biohazard symbol, which are frequently used in pop culture zombie movies and merchandise. 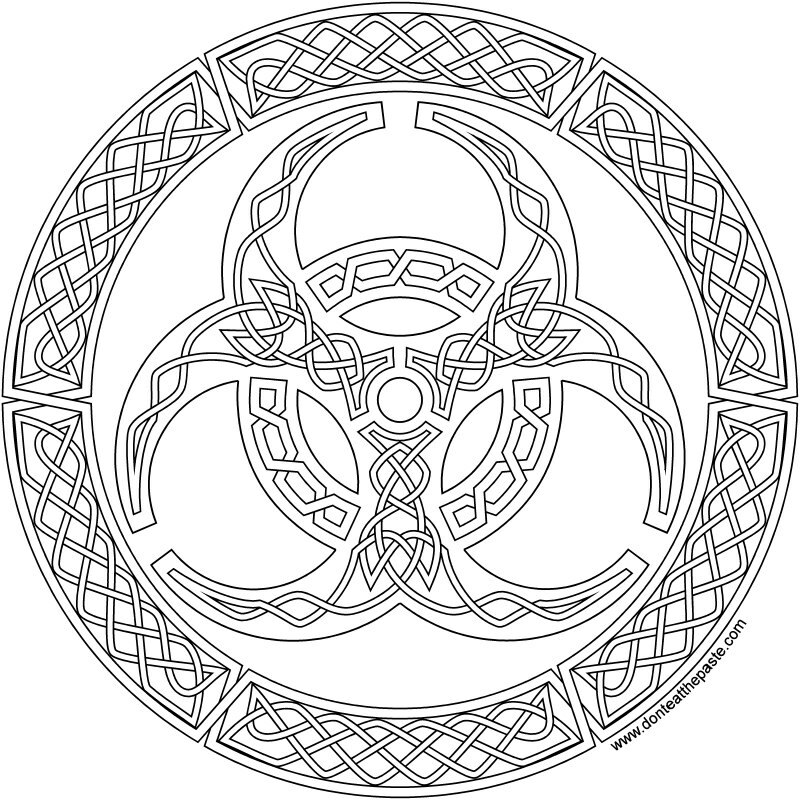 Click the images below for larger version to print and color. Looking for some great zombie themed gifts?